With all the holiday hulabaloo, I realized it's been awhile since I posted some new content that's not wish list related. 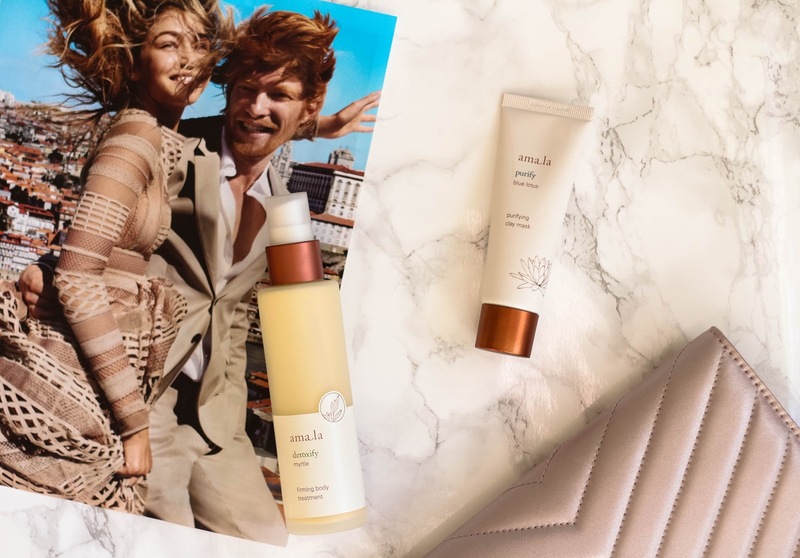 So I figured this was a perfect time to talk a little bit about a brand that has been saving my skin this winter, the beautiful Amala Beauty. This lovely line seeks out organic plants to crate truly stunning skin and body care and, after trying two products for myself, I can absolutely attest to their effectiveness. To say my skin gets dry in the winter would be an understatement. My entire body can somehow be dry even in the dead of summer, so you can imagine what that means during the colder seasons. While this treatment isn't absurdly hydrating (nor is it meant to be), it does give my skin sufficient moisture while providing firmness to my skin. The formula includes ingredients such as French Sea Algae for firming, Mediterranean Myrtle for cleansing and detoxifying, and Apricot Kernel to provide hydration and protect skin from pollutants. The result is a beautifully scented, thin lotion that absorbs quickly and easily, leaving me with smoother skin. I'm always hesitant using clay masks on my skin because, though it is blemish prone, there are some clay masks that prove too drying for my complexion to handle. Luckily, this wasn't the case with this totally purifying clay mask. With Blue Lotus as well as green and white clay, the thin formula spreads easily and dries quickly (though never uncomfortably). I've been using this as a weekly detoxifying treatment and I have not been disappointed. Every time I wash the mask off my face, I'm left with a clearer and far brighter complexion, one which still feels nourished and hydrated. I truly think this is one that could work on any skin type, with equally wonderful results. Have you tried anything from Amala Beauty? Be sure to follow them on Instagram, Facebook and Twitter for all their latest and greatest.